President Pavoncello was recently quoted in Time Magazine in a feature on Italian Prime Minister Mario Monti's difficult position. 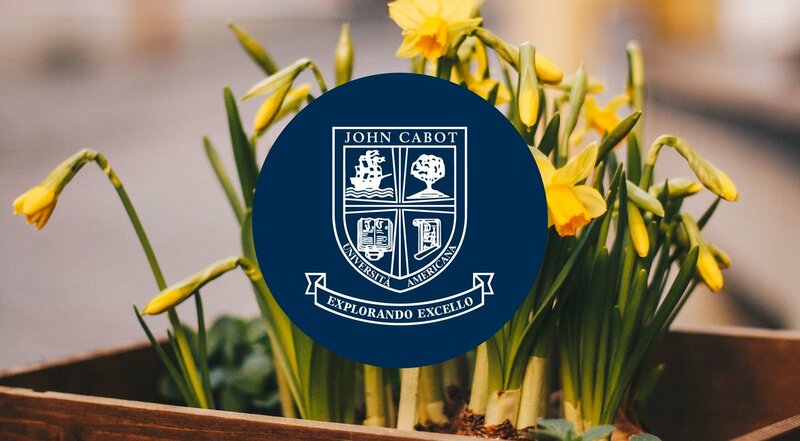 Read the testimonial that Alethea Stoltzfus, a visiting student at John Cabot University in 2012, wrote forher home school's paper, the Suffolk Voice. Can you take a photograph with a cola can? What about a coffee can? Or, a small paper box? Professor Bill Pettit's Pinhole Photography class can and did during John Cabot University's Summer Session I in Rome. Poetry-lovers from the Rome community flocked to the Marc and Peggy Spiegel Student Center for the seventh edition of InVerse Italian Poets in Translation, held on Wednesday, June 13th. Professor Federigo Argentieri, director of the Guarini Institute of Public Affairs, has been invited to give a lecture on post-World War II Italian Communism at the Institute of Social History "La Souvarine". JCU alumnus and Trustee Dr. Ali Reza Arabnia was recently interviewed on the Italian news channel Sky.TG24 as part of a feature on companies that are thriving despite the current economic crisis. On Thursday, June 7th, John Cabot University's Institute for Entrepreneurship welcomed Italian writer and entrepreneur Mariarosy Calleri, for a screening of "Invisible Super Women", which she wrote and directed, followed by a panel discussion.